Whenever you want to add a little sweet, spicy, and sour flavor to fried or steamed fish, meat snacks, or seafood salads, this delicious condiment and salad dressing will do the trick. We call it Nam Jim Seafood, or dipping sauce of seafood. Follow along and you can make some up in just a few minutes. Peel and slice shallots. 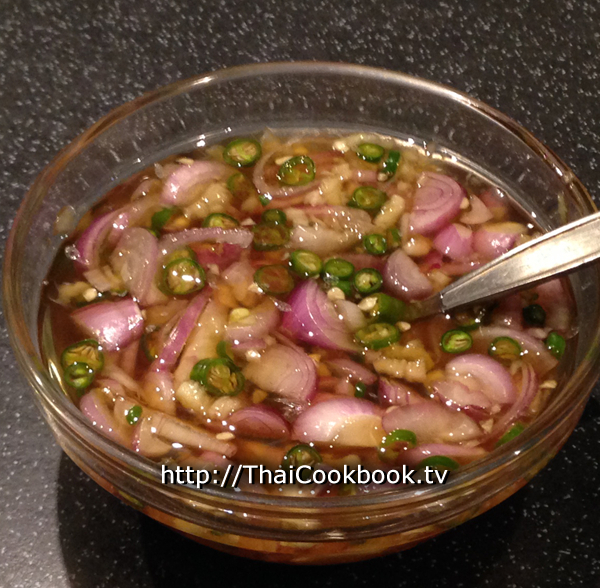 Cut 1 or 2 Thai hot chilies into very thin slices. Chop 1 or 2 cloves of garlic very fine. Squeeze 1 or 2 limes. Dissolve the sugar in the water over low heat. Let it cool completely. Stir the fresh ingredients, lime juice, and fish sauce into the sugar water. Let stand for 15 minutes, then serve. 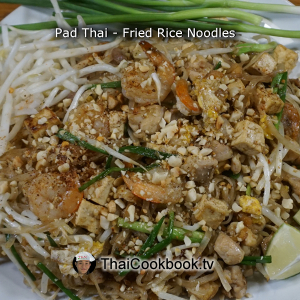 Enjoy a delicious dish of Pad Thai with this authentic Thai recipe perfected at Baan Worawut, our popular family-style restaurant in Chiang Mai. 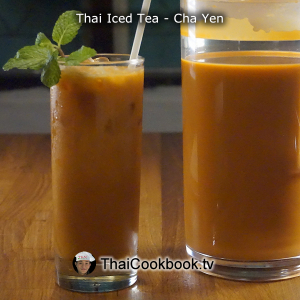 Known as Cha Yen in Thai, which means simply 'Cold Tea', this delicious bright orange iced tea is one of our most popular drinks. 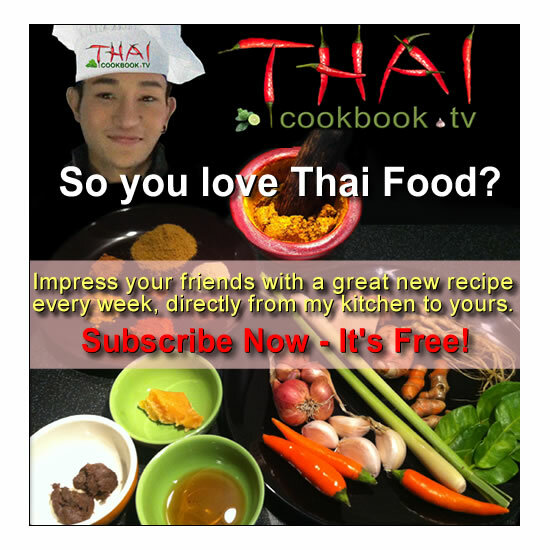 Learn to make this authentic Thai one-dish meal. 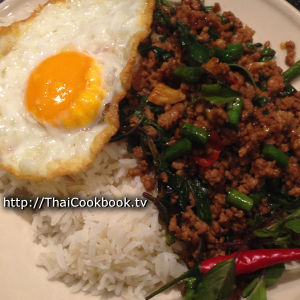 Known as Pad Krapow Moo ผัดกะเพราหมู, this very special basil and chili stir fry is one of Thailand's most popular foods. 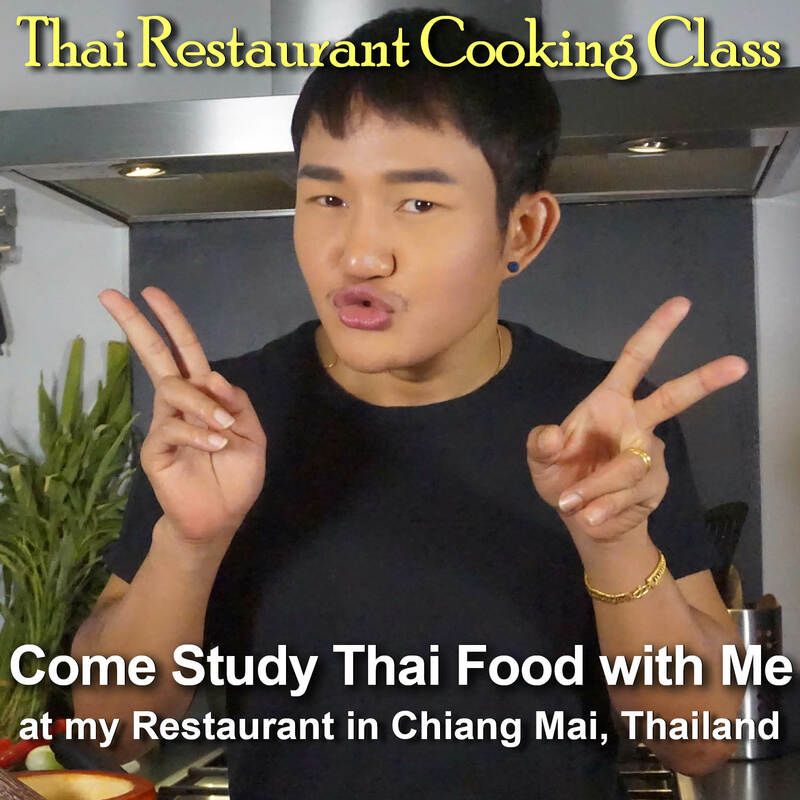 Located in the Wat Chang Khian area, near the Chiang Mai Zoo, Baan Worawut is a Thai food place where you can enjoy delicious and authentic Thai one-dish meals, soups, salads, and more.